Comedian Nazareth wonders if his phone is maybe just a bit too smart: "Every time I ask Siri to call home, she dials Homeland Security!" 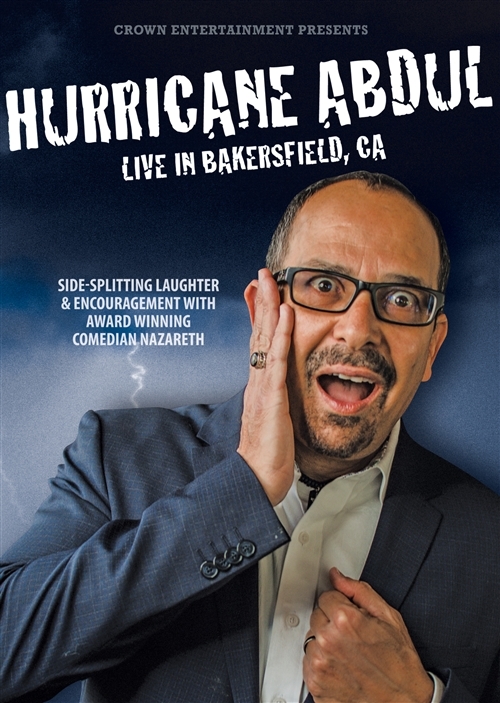 Nazareth is originally from the Holy Land, and has been honing his talents as a comedian for 25 years. Moving to America to attend college at the University of Toledo (Ohio), he left Kuwait with nothing more than a passion to make the most of the opportunity. How he ended up in comedy is no mystery to his college professors. Nazareth is the most pro-American comic in the nation. He’s committed to bringing the joy, hope and encouragement of Christ to audiences in churches, prisons, schools, arenas, stadiums, conferences, comedy clubs, men’s events, fundraisers—anywhere there are people who enjoy a good, clean laugh. 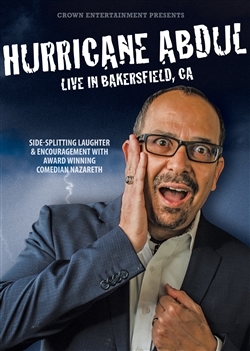 This DVD Includes a special guest appearance by actor/comic Mark Christopher Lawrence.